Currently our client is looking for personnel shall be well experienced in in Coiled Tubing and Nitrogen Service Operation. Project location is Jakarta and surrounding areas. Under direct supervision receives and follows specific detailed instructions from client and company. Learns to perform the necessary checking and operations of equipment required for Cementing, Coiled Tubing, Nitrogen Pumping, or stimulation jobs. Per-Diem, Housing & Meals are provided. Perform reparation, scheduled maintenance, and preparation of Coiled Tubing Unit and Nitrogen Pumping Unit with under guidance of mechanic prior to client work order and company standard operation procedures. 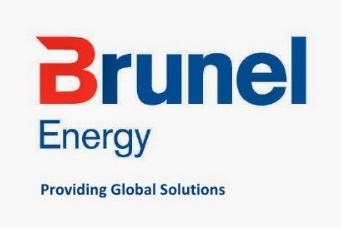 Please send your CV (.doc), Academy & Training Certificate and related documents to email: resume@brunel.co.id. Put the “Position Title” as subject email. Closing date: 25th of November 2017. FRAUD WARNING!! PT. Inti Brunel Teknindo will never ask applicant to pay a processing fee, ask for money or appoint any travel agent for the recruitment process. Thanks for reading PT Inti Brunel Teknindo Jobs: 2 Position. Please share...!